We’re two weeks into sharing responses from Washington teachers and students to the representation gap we reported on in December. This week, we’re back to hearing from teachers. We’re two weeks into sharing responses from Washington teachers and students to the representation gap we reported on in December. Nearly 89 percent of the state’s teachers were white last year even as the demographics of their students shifted. That can be a big problem for students of color — you can read the full project to learn why. We started with one round of responses from educators before sharing insights from students last week. This week, we’re back to hearing from teachers. Stay tuned for more reactions from students next week. Do you have other nonwhite colleagues? Aidé Villalobos teaches second grade at Evergreen Elementary in Shelton, Mason County. She identified as Mexican and said her school is a dual-language school, where Spanish is taught half the day and English the other half of the day. Elizabeth Schoene, who identified as white, teaches at South Seattle College. Although her work isn’t inside a K-12 classroom, teaching a broad range of students has given her perspective on the issue. There are simple things her school could do to increase diversity among faculty, Schoene said, but often there is resistance to paying for them. Advertising job openings with different professional societies, particularly ones for underrepresented groups in education, would “significantly improve the diversity of our hiring pools,” she wrote. Alison Short is a K-5 reading teacher at Bell Elementary in Kirkland. She identified as half Filipino. Josh Frank, an instructional coach in Shoreline who works with students between kindergarten and sixth grade, also identified as white. Kanoe C. Vierra, a teacher and dean of students at Scriber Lake High School in Edmonds, identified as Native Hawaiian. Vierra teaches a course called “Entry English,” a required class for all new students that often means he is their first teacher at the school. “Our district is making a concerted effort to keep our teachers of color,” he wrote. 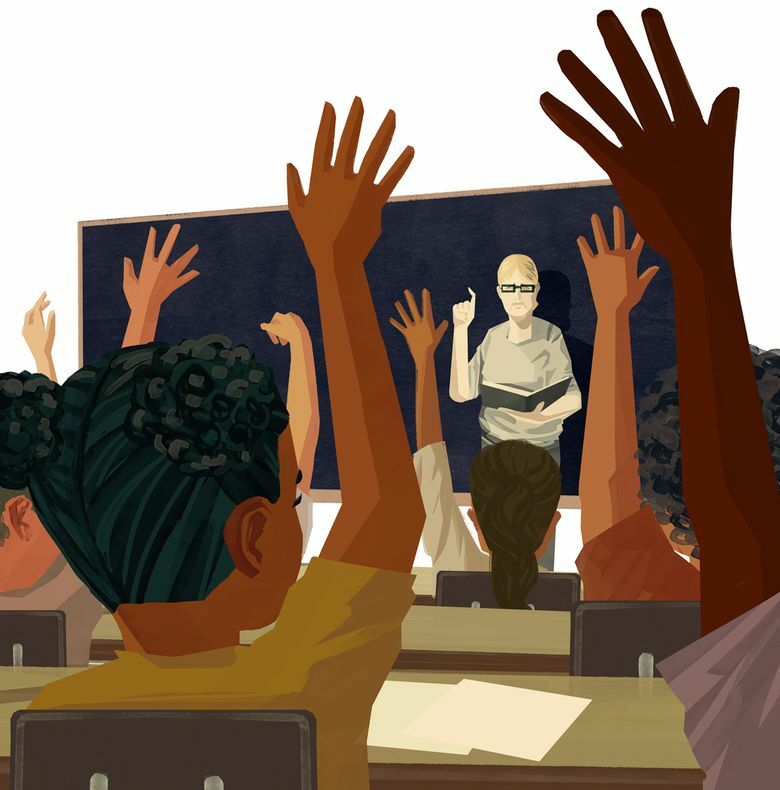 “However, some administrators don’t really attempt or even try to build a relationship with the teachers of color in their building.” So diverse teachers, he added, need to turn to each other for guidance and support.